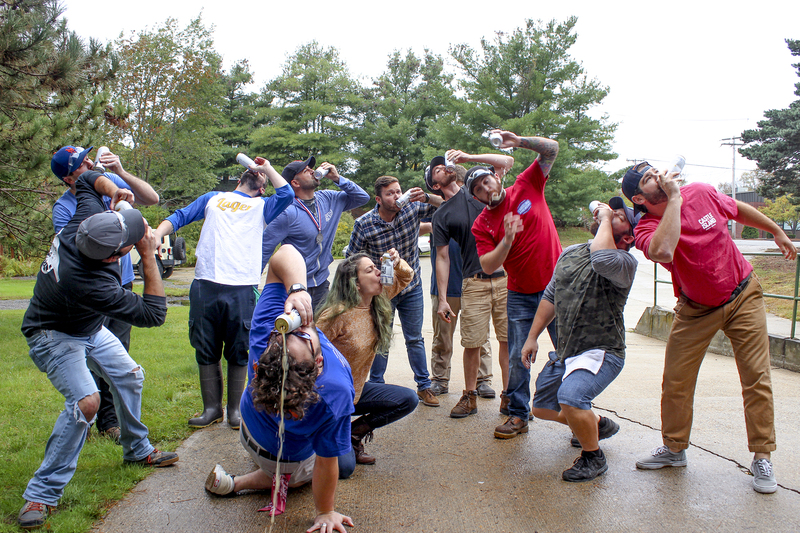 Castle Island Takes GABF 2018! 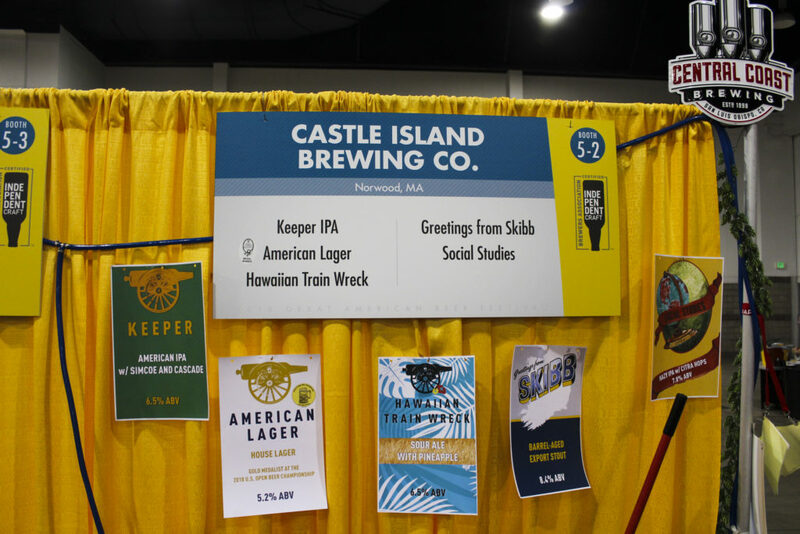 – Castle Island Brewing Co.
Castle Island Takes GABF 2018! Whew, y’all. It’s been a little over a week since our team returned from Denver, Colorado, but the madness of 2018 Great American Beer Festival® (GABF®) is still fresh in our minds. Three days, 62,000 people, and one silver medal later, and we’re still on cloud nine. It was an insane week riddled with insane experiences, and we wanted to share some of that chaos with you. 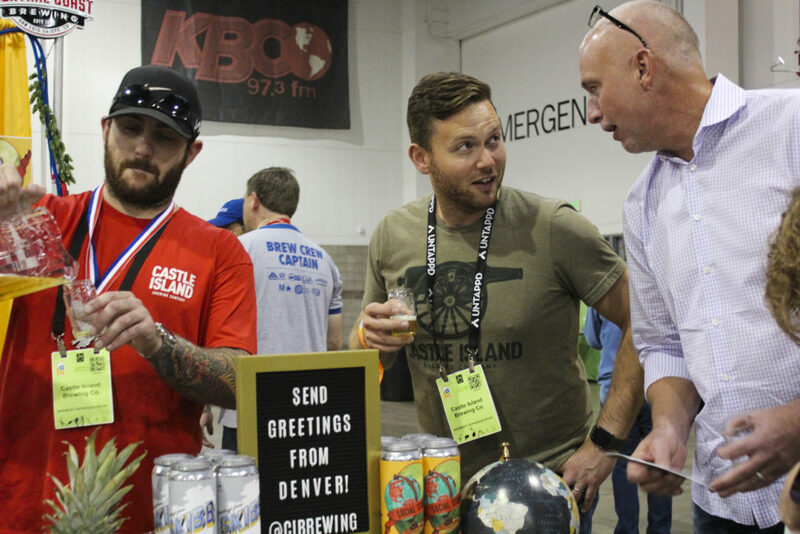 Our crew spent five days in Denver, drinking in the local libations and doing everything we could to soak up the whole GABF experience. It was our first time being a part of it, after all. That meant not only hitting the local mainstays, like Falling Rock Tap House and TRVE Brewing Co., but hanging around the Colorado Convention Center to get our bearings. 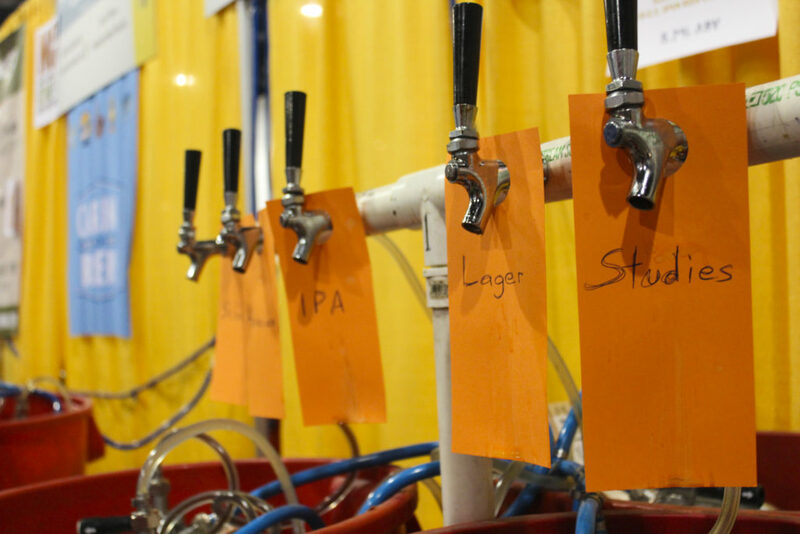 GABF is one of the biggest beer meccas in the world — we weren’t gonna leave until we had our fill. Much of the first half of the trip was spent kickin’ it around town, which turned out to be exactly what we needed. 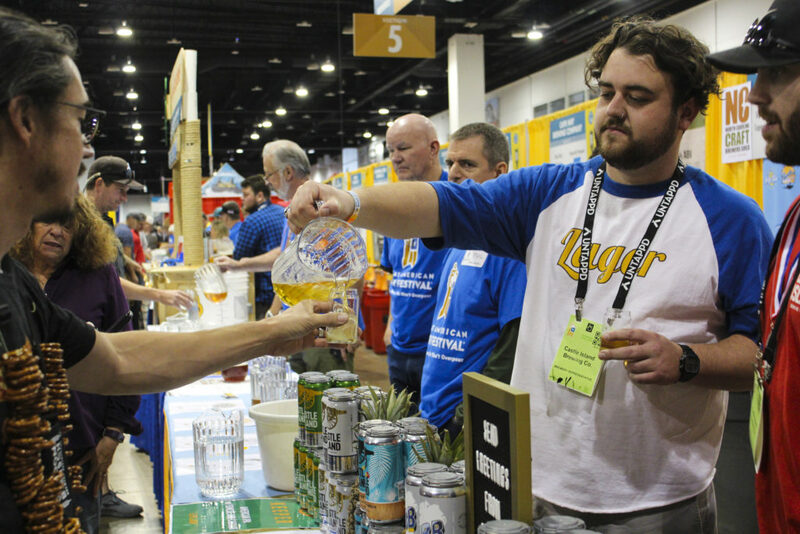 Because starting Thursday night, the debauchery of GABF took the reins. Thursday was our first session of the festival, and we were one of 800ish breweries pouring, but that didn’t seem to lessen the flow of drinkers in our little corner. The center is massive and stretches a few football fields, but somehow it always felt full…we’ll get back to you on that. Friday night’s session went about the same way. It was then that our “Greetings from GABF” postcards seemed to really take off with fest goers. The premise was simple — you write a note, we’ll stamp and send it. The idea of handwriting postcards has always been something we’ve done at our taproom, but we wanted to step it up in Colorado. Turns out, y’all felt the same way: We ended up mailing around 400 postcards to 38 states, including Puerto Rico and Washington, D.C.! Can we just take a second to let that breathe? CRAZY. Then Saturday happened. That was when we got the great news that American Lager had won silver. 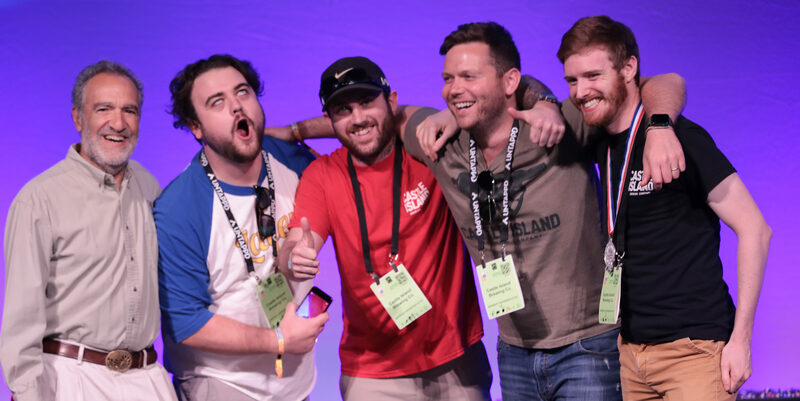 Before the back-to-back sessions that day, all attending breweries were invited to an awards ceremony at a massive auditorium in the convention center. Four other Mass. breweries won hardware that morning alongside us, including Cambridge Brewing Co. and Brewery Silvaticus! After hearing the wonderful news — we’re sure you’ve seen us wax poetic about it a ton by now — we hunkered down for a whole day of pouring action with stupid grins on our faces. And the rest is GABF history. Along the way, we ran into a ton of friends, both new and old, that reminded us why this event is such a freakin’ party. Friends from Cincy’s Rhinegeist, Cali’s Ballast Point, and many others made catching up a blast, while local buds like Wormtown and Jack’s Abby made the city feel more like home. We made our share of new friends too, spanning our boothmates at Carolina Brewery and the inspirational cats at Chicago’s Forbidden Root. We could drone on and on about what we learned, what we took away, etc. etc., but let’s just leave it at this: Denver exposed us to a beer scene we had never fully experienced. One of intense depth, of lobster necklace-wearing fanatics, and of truly loyal drinkers. And while next year’s fest is miles away, we’re already looking forward to being a part of that community again.